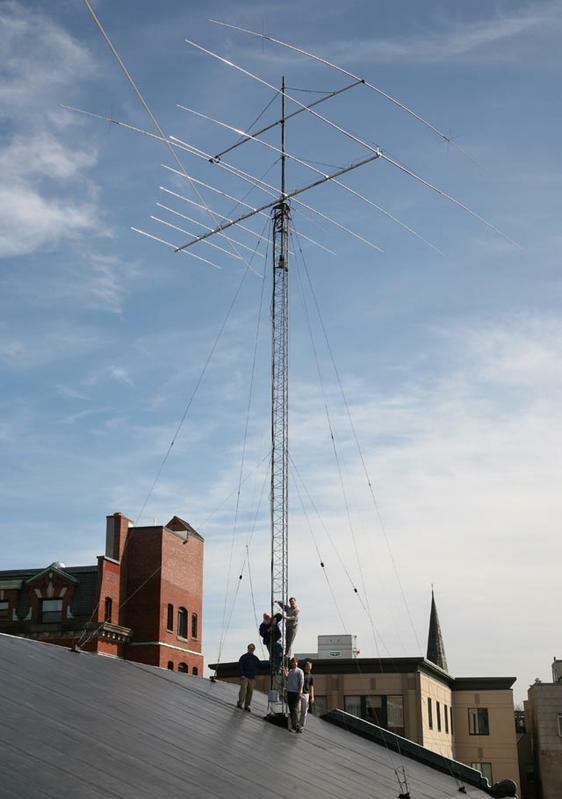 W1AF was operating from the Oak Ridge Observatory in Harvard, MA for Field Day from Saturday 6/25 1800z to Sunday 6/26 1800z, the ARRL section being "WMA" (Western Massachusetts)(Class 2A). Normally our permanent location is at Harvard University in Cambridge, MA "EMA", (Eastern Massachusetts). The above picture is our "big" tower. The antenna on top is a Cushcraft XM240 "Big Thunder" 2 element 40 meter beam. The antenna on the bottom is a M2 10-30LP8 8 element 30 through 10 meter log periodic. We also have a smaller tower that has a Cushcraft A50-5S 5 element 6 meter beam and a Cushcraft x7 7 element 20, 15, 10 meter beam. In addition, we have a inverted V dipole for 80 meters. Rounding out our antenna farm, we have a Cushcraft AR270B 2 m/70 cm vertical. Radios: Icom IC-756 Pro III HF/6 meters 100 watts. Icom IC-821 2m/70cm 45/40 watts. Linear Amp: Icom IC- 4KL 1 KW 160- 10 meters. Digital interface: Tigertronics Signalink USB. Computer: Dell Studio XPS- 8100 Intel quad core i7-860 2.8g, 8 gigabytes ram, 1 terabyte hard drive. Software: Ham Radio Deluxe/ DM780v5 for routine operation, N1MM logger for contesting. NOTE: W1AF/AM operated on a flight departing from Lexington, KY at 2030, to Dublin, Ireland on 2/11/2011. Operator: K4JQV. Also operated on a flight on 3/13/11.